“We met on a neighboring farm when Mike was buying pig feed from my father. I was heading to the barn in my bare feet, carrying two milk pales and he was standing at the barn gate. He followed me to the milk house and we made a date to go to the movies in Six Mile Run the following Saturday.” And as they say, the rest is history. 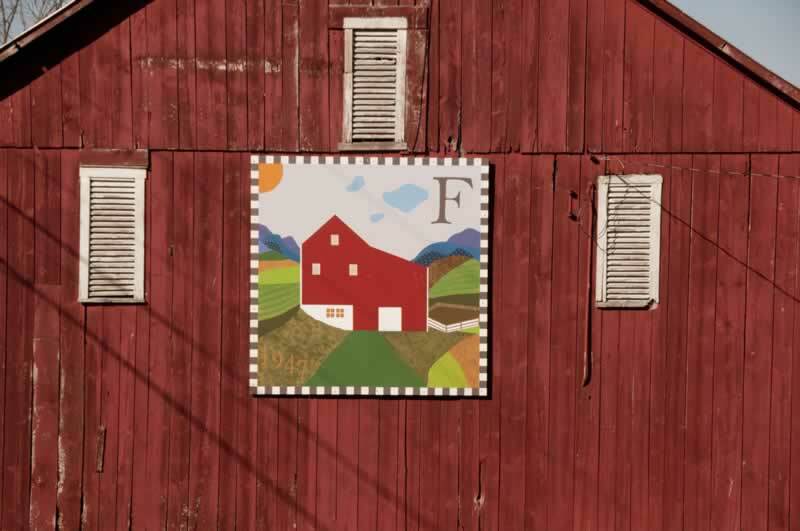 Clifford “Mike” Foreman and Helen “Sis” Foreman have loved and cherished their farm at 711 Metzler Road in Wells Tannery, Pennsylvania forever. Helen’s family lived in the neighboring farm in the early ‘40’s. Mike and Helen met on that farm and quickly fell in love. In their young minds they had dreams of one day buying the neighboring farm and making it their home. The Foreman’s married in 1942 and continued to dream of the little farm nestled in Wells valley. They loved the rolling fields and the gentle stream flowing through the center of the property. The farm held the promise of a life that would be full of love and happiness for the Foreman family. It wasn’t until 1947 that they had scrimped and saved every penny and purchased the farm of their dreams. While working on the farm, Mike worked in the coal mines, at the Pennsylvania Turnpike as a tunnel guard and late with the state. He retired as a bus driver and farmer. Helen worked on the farm milking cows, making hay, husking corn and tending her large garden which fed many family and friends. The milk was turned to butter and sold to assist in the purchase of farm machinery. At one time the farm housed a small orchard of apple, peach and cherry trees. There was always plenty of food to feed the family and the meals always ended on a sweet note thanks to Helen’s bread, cakes, and pies. Life on the farm was simple but precious and full of memories of family, friends and love. Foreman’s Legacy was designed in 1989 by the Foreman’s oldest granddaughter Robin Wakefield as Christmas present. It was quilted by Mrs. Vera Deshong. Foreman’s Legacy was designed and painted by Robin Wakefield along with her son’s Jasper and Elliott and the creative instruction of Mr. Tom Duffey. It was presented to Helen on November 28, 2015 with love from her entire family. It is dedicated with love to the memory of Clifford Foreman.